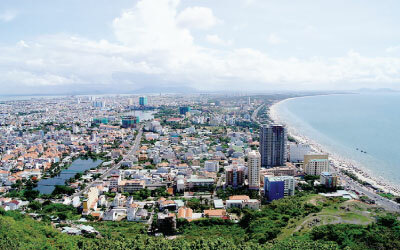 (VEN) - Ba Ria-Vung Tau has actively promoted international economic integration and improved its competitiveness, thus achieving positive results. Ba Ria-Vung Tau Province People’s Committee Chairman Nguyen Van Trinh talked about the province’s efforts and its achievements with Vietnam Economic News’ Hung Anh. How do you evaluate the province’s achievements? Ba Ria-Vung Tau Province achieved outstanding results in 2013. The province ranked fourth among the 63 cities and provinces throughout the country in terms of its rating on the international economic integration index which was announced by the National Committee for International Economic Cooperation. In addition, our export turnover has continuously increased over the years. The province’s export turnover (excluding crude oil) increased from US$130 million in 2001 to more than US$500 million in 2006 and totaled over US$2 billion in 2013. This figure reached an estimated US$16.094 billion (including oil) and US$2.77 billion (excluding oil) in 2014, an on-year increase of 13.91 and 37.72 percent, respectively. The province has actively implemented measures to maintain stable operations and promote economic development. The province’s export markets have been expanded and have become more persified. Exports have been promoted to new markets such as the US, Russia and the EU and goods have met strict requirements in terms of quality. Regarding foreign investment attraction, following the 2005 Law on Investment and Vietnam officially becoming a member of the World Trade Organization (WTO), foreign investment into the province has significantly increased. In the 2006-2010 period, Ba Ria-Vung Tau attracted US$24.4 billion, a 12-fold increase compared to the 2001-2005 period and a five-fold increase compared to the 1988-2005 period. In 2006, the province attracted newly registered and additional foreign direct investment (FDI) capital of US$2.266 billion. By the end of 2014, the province had 290 valid foreign investment projects with total registered capital of US$26.7 billion. Ba Ria-Vung Tau has also signed international cooperation agreements with 12 foreign localities since 1992 including with Japan’s Kawasaki, Russia’s Nenetskiy, the Republic of Korea’s Pohang and Indonesia’s Padang. In recent years, the province has increased its foreign investment and expanded its export market thanks to the strong promotion of its marketability as a region capable of international economic integration. Could you specify export-import activities and the development of new economic sectors? Ba Ria-Vung Tau Province’s export turnover has increased over the years through the main exports of garments and textiles, seafood, steel, cashews, rubber, ceramic tiles, handbags, leather products and engineering products. Meanwhile, import turnover of raw materials serving production has accounted for a large proportion. The average GDP growth during the 2011-2014 period reached about seven percent per year. In 2014, industry-construction, agriculture and services accounted for 58.5, 7.5 and 34 percent of the province’s economic structure, respectively. As for the development of new economic sectors, the province has continuously attracted investment into industrial sectors and services such as logistics, support industries, hi-tech industries, processing industries, the petrochemical industry, healthcare as well as education and training projects, high-tech agriculture and the processing of seafood. The province’s industrial zones are focusing on attracting investment projects. To date, a number of large-scale projects have been put into operation. These include the Posco Steel Plant, the China Steel Plant, Cai Mep International Terminal (CMIT), Tan Cang-Cai Mep International Terminal, Ho Tram Tourism Complex and Vietsovpetro Resort. These large-scale projects have made a huge contribution to the province’s economic development. In the time to come, the local economy looks set to maintain its high growth. What new directions will Ba Ria-Vung Tau Province take in the near future? Ba Ria-Vung Tau’s main objective is to become an industrial powerhouse with a developed marine economy as well as become one of the country’s main industry-service-tourism centers. A number of key tasks have been outlined to achieve this such as attracting investment capital from Japanese firms into industrial zones and accelerating ground clearance compensation in order to create favorable conditions for investors in the implementation of the Long Son Petrochemical project. 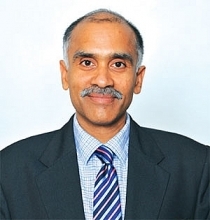 Other projects earmarked for the coming years include implementing solutions in the support industry and the overall development of logistics by 2020 with a vision to 2030. Also, we will complete the planning and construction of the Cai Mep Ha Logistics Center, while calling for investment in logistics centers and issuing mechanisms and policies to attract investment. Other projects underlined as necessary are the acceleration of the development project on the Cai Mep-Thi Vai International Transshipment Port Complex, supporting enterprises to improve operational efficiency, raising capital to construct 991B Road and Phuoc Hoa-Cai Mep Road, completing the overall development planning on tourism by 2025 with a vision to 2030, strengthening tourism promotion activities in the Southeast Asian countries and Japan and proposing the establishment of the tourism department in accordance with the province’s actual conditions. In addition to continuing to exploit its potential and advantages, the province will promote economic restructuring, develop logistics services and support industries, boost administrative reform, improve the provincial competitiveness index (PCI), focus on resolving complaints and denunciations, strengthen the prevention of corruption and strive to reach higher economic growth in order to foster development over the years to come.